Crawl spaces are a nice, warm, and dry nesting place for critters. While it may not seem like too much of an inconvenience for raccoons to make a home beneath a house, they can actually cause considerable damage, odors, and bacteria build-up. The Killers Crawl Space Restoration safely removes raccoons and handles a large majority of the raccoon crawl space damage repair in Portland. 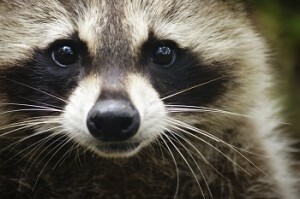 Raccoons Destroy Insulation – They gather the insulation into piles, making it less effective. Raccoons chew on ducts and pull away areas where insulation has been tacked down. This creates drafts so insulation is not able to do its job. Raccoons Chew through Electrical Wiring – This produces a fire hazard as well as costly damage. Chewing can also occur around the foundation of a home and damage anything wood or plastic. 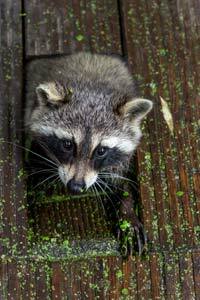 Raccoons Urinate and Leave Droppings in Crawl Spaces – The urine seeps into the insulation and the surrounding area. Urine and droppings eventually create an unpleasant odor. As the temperature heats up in the summer months the smell becomes more pronounced. In some cases a raccoon will die and decompose inside a crawl space in Portland, also creating a terrible smell as well as a health threat. Raccoons Attract Bacteria, Fleas, and Mites – They chew holes around the foundation, which increases access for smaller pests. Not only does this create a health threat to people in the house, it is also unhealthy for pets. Raccoons are also very aggressive and pose a threat to housepets. When Portland property owners call The Killers Crawl Space Restoration to evaluate raccoon crawl space damage, they get full service, one-stop raccoon removal, and raccoon crawl space damage restoration. We’ve been removing raccoons from Portland properties since 1991. The Killers Crawl Space Restoration knows how to do the job right the first time. Once the raccoon has been removed, we gauge the extent of the damage. All soiled and damaged insulation is removed. The crawl space is thoroughly cleaned and returned to a hygienic level. From there, any damaged wiring, foundation, and ductwork is repaired. New, clean insulation is installed and the crawl space is restored to its original state. Before we leave, our technicians will install systems to keep future raccoons and other rodents from entering the crawl space. 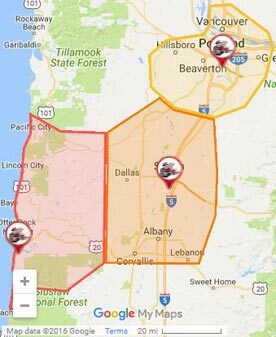 Our experience and expertise doing crawl space repair in Portland make us well aware of which types of critters we need to guard against. We put our experience to work for you in safeguarding your home or office from any future crawl space invasions. Call today to schedule an inspection of your crawl space. If you already know you have a raccoon in your Portland crawl space it is imperative that you call right away. Do not wait until more damage is done or odors and bacteria begin to permeate your home. Call The Killers Crawl Space Restoration for raccoon removal and raccoon crawl space repair in Portland.